I posted about a hundred new old tools to my For Sale page today. Have a look and see if anything interests you. If you’d like to buy something or have any questions please email me- jclark@hyperkitten.com and/or jclark42@gmail.com. Use both to ensure your message gets here fast by one route or another. I posted about a hundred new old tools to my For Sale page today. This list includes a lot of molding and bench planes, some great saws, a good collection of tool and woodworking related books (including an almost complete run of Ken Roberts’ excellent books) as well as a lot of good edge tools and other fun stuff. Have a look and see if anything interests you. If you’d like to buy something or have any questions please email me- jclark@hyperkitten.com and/or jclark42@gmail.com. Use both to ensure your message gets here fast by one route or another. Around here we’re wrapping up summer even though it’s still August. Summer camp is over and school doesn’t start for over a week so I have my oldest here helping me sell tools today. If only I could teach her to pack and print shipping labels! The summer harvest is in full swing as well. Last week I picked my first batch of tomatoes- about 30 pounds worth, along with some garlic, basil, zucchini, and peppers. Time to make sauce! Sauce! 13 pints worth canned and ready to be stored. I’ve got at least another two batches ripe and ready to be picked and turned into pasta and pizza sauce, but that will wait for another day. 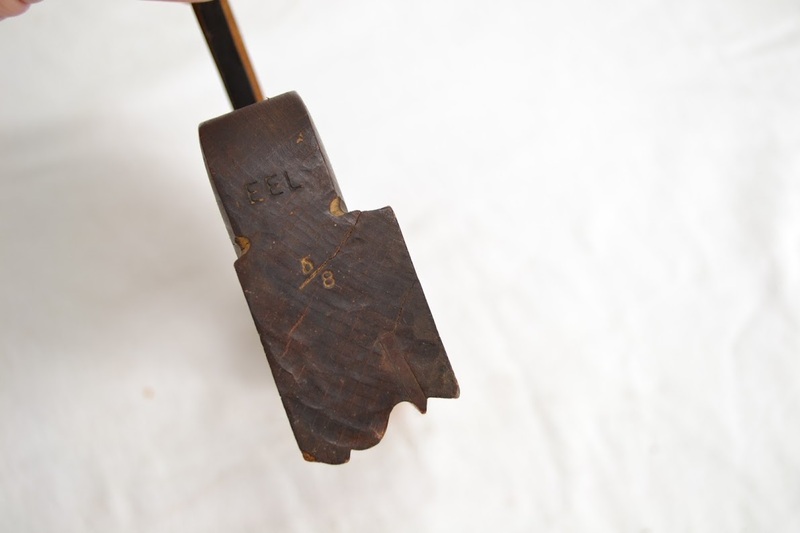 A Note on Molding Planes With the Owner’s Mark EEL. Hello everyone. I posted this note over on Google+ a few weeks ago. I thought I would repost it here for all of you who aren’t on G+. There have been a number of molding planes that have come up for sale lately with the owner’s mark EEL at the heel. I thought I’d let you in on what I know about these planes. The EEL mark stands for Eugene (Gene) E. Langdon. Mr. Langdon was a famous furniture maker from Pennsylvania specializing in 18th century furniture. Mr. Landgon passed away in 2011 and the contents of his shop were consigned to auction. He had an enormous collection of molding planes and other hand tools, all in excellent condition. Some of his molding planes like the ones shown below one, tuned and ready to use. All of his molding planes have the “EEL” stamp on the heel. A number of them have shown up on eBay and on other tool dealer’s for sale lists. I snap them up whenever I find them (and can afford them) because they are almost always top-notch and fantastic users. Mr. Langdon kept many of his molding planes honed, set, and ready to work. He was featured in Fine Woodworking several times and his shop was featured in Fine Woodworking No.174, the 2004/2005 tools and shops issue. If you have access to this issue you can see the racks and racks of molding planes he owned and used. Finally, there is a book available that details Gene’s work and life. The preview on this site will give you some idea of the quality of his work and give you a quick glimpse of his shop. That’s it for now. Look for more Old Tools tomorrow- assuming all goes as planned! 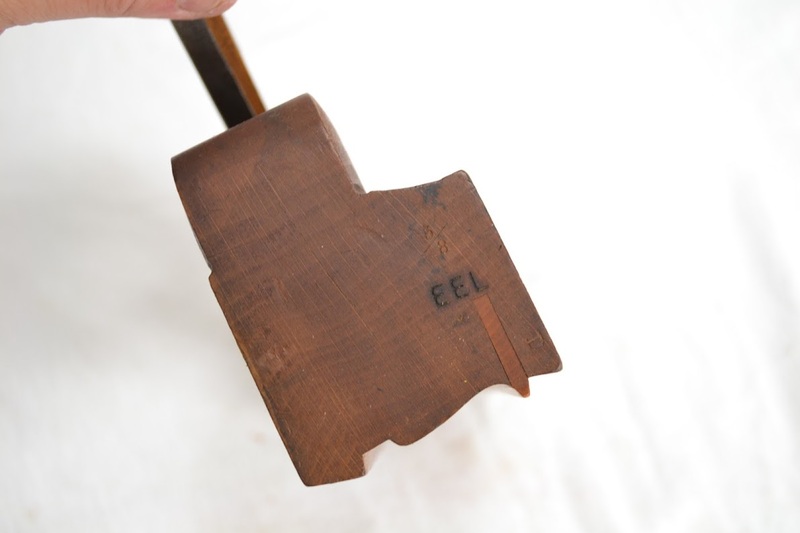 Author Joshua ClarkPosted on August 19, 2012 Categories Interesting ToolsLeave a comment on A Note on Molding Planes With the Owner’s Mark EEL. Author Joshua ClarkPosted on August 6, 2012 Categories Tools For SaleLeave a comment on Lots of Fresh Old Tools for Sale Today!